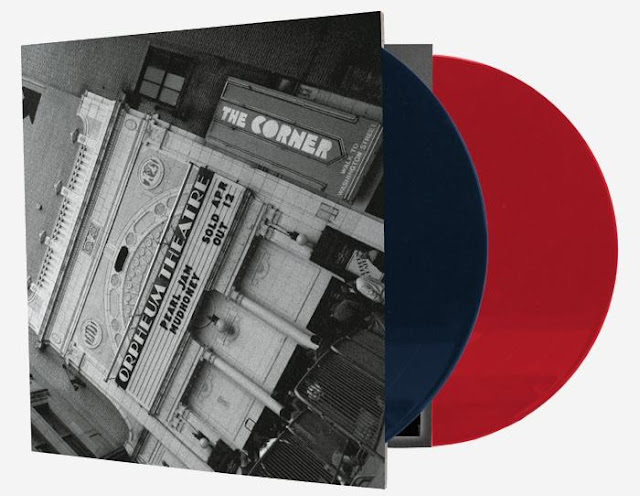 Newbury Comics has been given the opportunity to offer a limited run of the Pearl Jam's 1994 show at the Orpheum Theatre in Chicago (previously only available as part of the Vs./Vitalogy boxed set. 100 random fans will get a Fenway Colors variant with red and blue vinyl in celebration of Pearl Jam's upcoming Fenway shows. Records are $27.99 (+$5.99 domestic S&H). You can preorder now at Newbury Comics. Labels: Collectibles, Live at the Orpheum Theatre, Vitalogy, Vs.